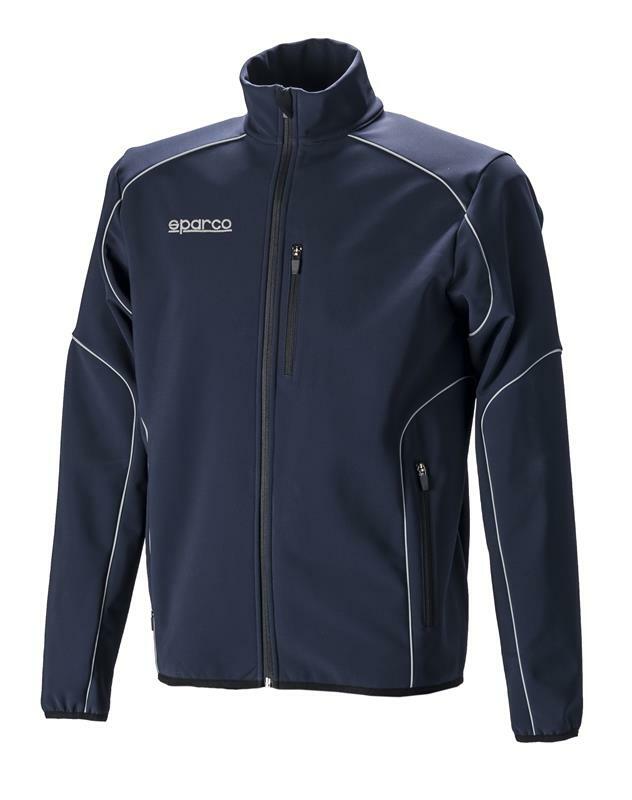 Sparco Sportswear - Jacket - Soft Shell UNIVERSAL - Dezod Motorsports Inc - Home of the automotive performance enthusiast since 2002. The Sparco Soft Shell holds true to it’s name with a soft shell exterior fabric with DROP TEX napping inside. Composed of 47% Polyamide, 41% Polyester and 12% Spandex, this windproof fabric breather and stretches to you frame. Add in three external pockets and elastic cuffs – this is the ultimate cool weather jacket.